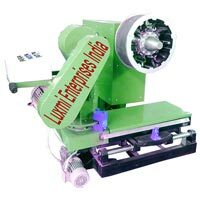 Luxmi Enterprises India is a distinguished Manufacturer & Supplier of Buffer Machines, Electric Curing Chamber, Curing Rim, Automatic Mini Rasper, Tyre Lifter, Inspection Spreader, Tyre Envelope Expander, Monorail System, Tyre Repair Spreader, Tire Tread Building Machine and Tractor Tyre Retreading Machine. We are an ISO Certified organization and with our rich expertise and thorough knowledge of market in this domain, we have been able to respond to the ever-evolving demands of the customers with quality assured products. Quality is what we firmly believe in and we do not leave any stone unturned when it comes to the quality of our products. 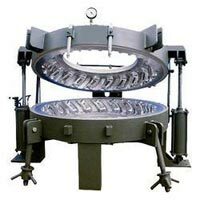 The company was incepted in the year 2013 at Jind, Haryana (India), under the sole proprietorship of Mr. Krishan Dhatterwal, who has a valuable experience of more than 23 years in manufacturing products. Laxmi Enterprises India is now efficiently managed by the CEO of the firm Er. 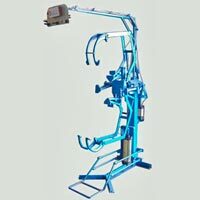 Amit Dhatterwal, who is a skilled Mechanical Engineer and has good knowledge of industrial ideas.